Run almost entirely on singletrack, the Fat Tire 40 offers classic mountain biking in a high-altitude dreamland. 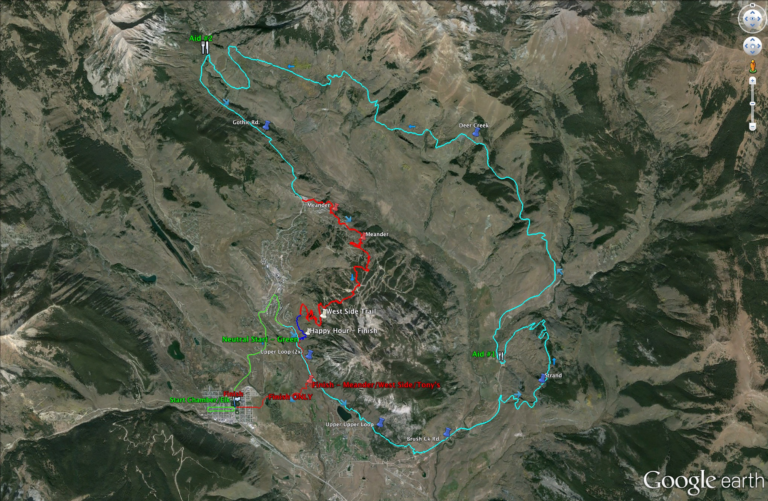 The long loop starts and finishes in downtown Crested Butte and hits some of the areas best riding. Climb through Aspen groves on Strand Hill and take in the views of Mt. Crested Butte from Deer Creek Trail. If youre from sea level, youll find the event an exercise in straw-breathing, but the singletrack is out of this world. $75 covers your race entry, post-race cookout and beer! The Fat Tire 40 is a serious mountain bike race. Forty miles almost all on single track. This isn’t one of those dirt road races masquerading as a mountain bike race. Navigation: Entire course marked as of the Sunday prior with white panel, red arrows and pink tape; look for all three. There are markers/arrows ahead of each possible turn and after each turn. If you don’t see arrows/markers- DON’T TURN! You may be on certain roads or certain trails for a while… IF NOT ARROWS/MARKERS– NO TURN. EVERY turn is marked, so assume nothing except full directions via arrows/markers and volunteers on course. : Book your lodging through CrestedButte vacations and receive 25% off three nights or more OR 20% off two nights or less at the Grand Lodge or CBMR Properties plus a free scenic lift ride (or upgrade to a full adventure ticket!). Call 855-382-2059 and mention “Bike Week” or click here to book online. Crested Butte is home to many quiet and beautiful campgrounds. Several campgrounds are located near Mt Crested Butte, Crested Butte and CB South (seven miles south of Crested Butte). When camping with children or in large groups, it is most comfortable to stay at some of the more developed campsites. There are a number of developed campgrounds in the area, but we also have thousands of acres of National Forest land with unimproved or primitive car camp sites. Cement Creek Campground: Take Highway 135 south about 6.8 miles from Crested Butte or Mt. Crested Butte to Cement Creek Road (Forest Road 740). Turn left and continue on main road for 4 miles to campground on right. Creekside trails and forested campsites available with restrooms, tables and barbeques. Reservations needed for Forest Service Campgrounds here, please call 1-877-444-6777. Gothic Campground: Forest Service campground 1-2 miles past the town of Gothic towards Schofield Pass. Campsites available with restrooms. Please call 1-877-444-6777. Irwin Campground: Take the Kebler Pass Road (County Road 12) west for 6 miles, then turn right on Irwin turnoff (Forest Road 826). Drive to Irwin Campground. Lakeside and forested campsites. Restrooms and barbeques available. Reservations needed for Forest Service Campgrounds here. Please call 1-877-444-6777. Taylor Canyon: Take Highway 135 south from Crested Butte through town of Almont. Turn left up Taylor Canyon Road. Choose among several campgrounds in Taylor canyon. All are near the river, with restrooms, tables and firepits. One-Mile camp has RV hookups. Rosy Lane is wheelchair accessible. Reservations needed for Forest Service Campgrounds here. Please call 1-877-444-6777. Crested Butte RV Park: Take Highway 135 South from Crested Butte to the North entrance of the Riverland Industrial Park. Turn right onto Riverland Dr. The RV park will be on your left. How was Fat Tire 40?